23.05.2016. Old Trafford, Manchester, England. Supersavers County Championship. Lancashire versus Surrey. 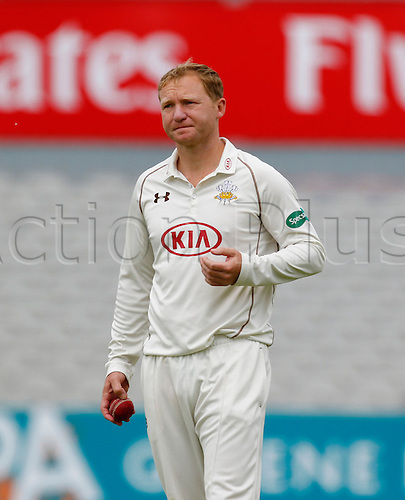 Surrey captain, all-rounder Gareth Batty looks on as Lancashire pass his side's 1st innings total of 191.